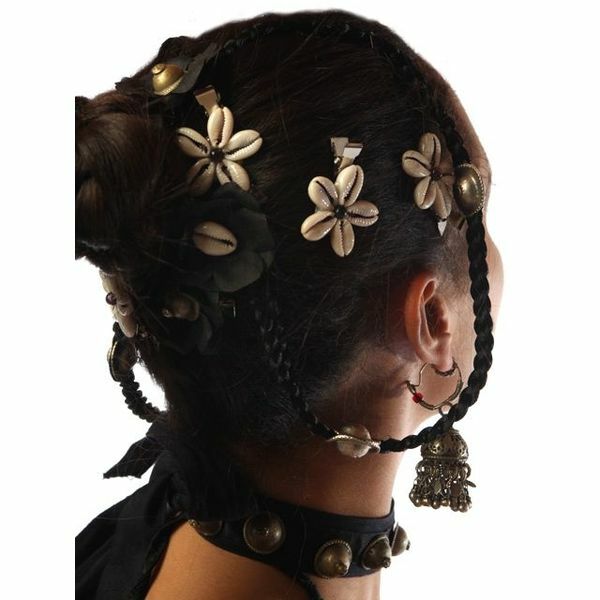 Cowry hair flowers and tribal fusion belly dance hair jewelry, hand-made of real cowries and in different colors! Cowry flower hair jewelry - perfect for tribal fusion belly dance and boho, beach and surfer hairstyles! Available as a pair or in set of 3 and 6 pieces with discounts! 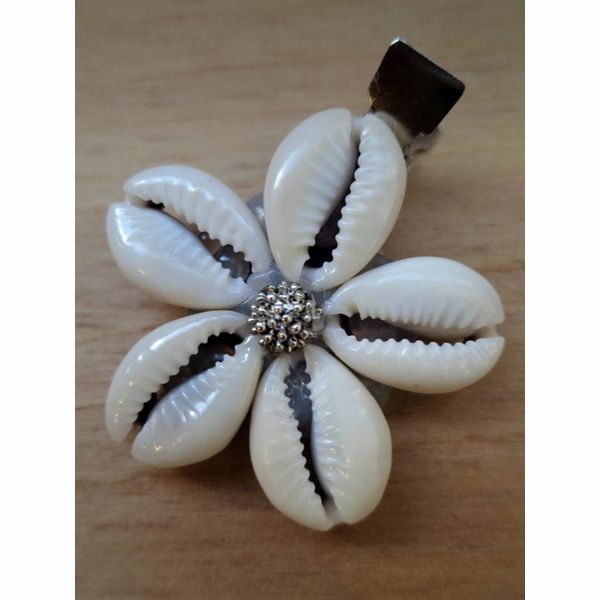 All cowry flowers have a bead in their center. Our beads are made of semi-precious stones, glass or metal and add a different color to the cowry flower so you can match it to your costume, outfit or other jewelry! Cowry hair jewelry is available in two sizes; wear the larger variant with the additional belly dance button as hair jewelry and on the tribal fusion belly dance belt! 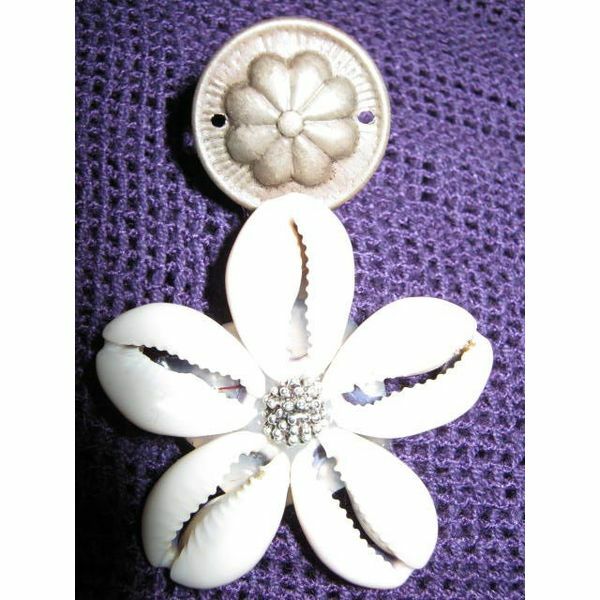 The smaller variant is usually worn as hair jewelry or brooch on shoulder straps and collars only. 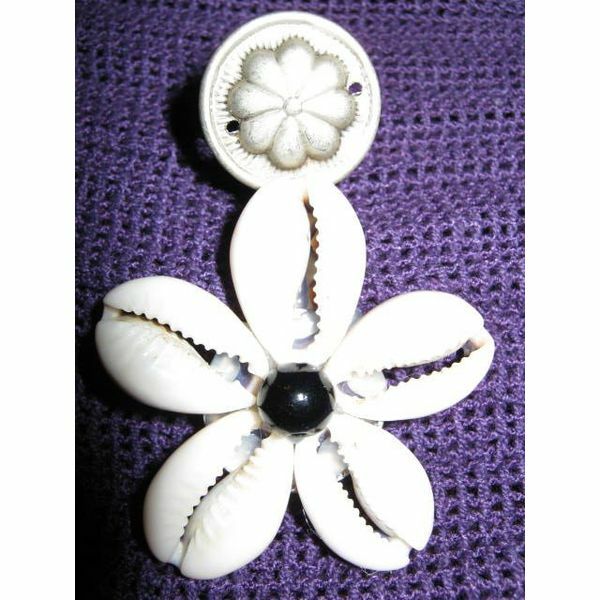 All cowry hair flowers and hair jewelry sets are hand-made to order. Naturally we only use carefully selected and beautiful cowries!